Volvo, a leading manufacturer of trucks, buses and construction equipment, is using new methods to monitor and analyse critical components in real time in order to take care of potential malfunctions before they interfere with the customer´s business. A new tyre management service has been launched in Sweden as well as a major test pilot for advanced monitoring of trucks in Europe, said a statement from the company. By also applying machine learning, the accuracy of predicting and preventing unplanned stops will be improved even further, it stated. “New technologies for monitoring and analyzing truck data in real time are opening up exciting opportunities to predict failures more precisely and further into the future. It’s all part of our continuous effort to keep our customers’ trucks on the road,” remarked Markus Efraimsson, VP (Uptime) Volvo Trucks. A new tyre management service measures the tyre pressure and temperature in real time, he noted. The results can be monitored through an app, helping both the driver and owner to identify slow punctures and avoid possible tyre explosions causing unplanned stops and high costs, he noted. "In addition, the new service also enables lower fuel consumption and more mileage from each tyre due to securing the correct pressure and temperature. The tyre management service will be rolled out successively in the European markets," he added. According to him, Volvo Trucks is also performing a test pilot including several other components for select customers with the company´s gold service contract. By monitoring and analyzing data from thousands of trucks in real time a large number of potential breakdowns have been avoided, resulting in improved uptime and productivity, he stated. Efraimsson said the aim was to predict component failures before they occur and provide the customers with optimal service planning. "When a potential problem is detected by a Volvo Truck Monitoring Center, the customer’s local Volvo workshop is alerted so that preventive actions can be taken," he noted. "We’re looking at uptime from a customer perspective. Our focus is really to secure that the customer has no unplanned stops," he added. The next step is to gradually introduce machine learning. This form of artificial intelligence makes it possible to collect and analyze large amounts of truck data for the purposes of research and development. 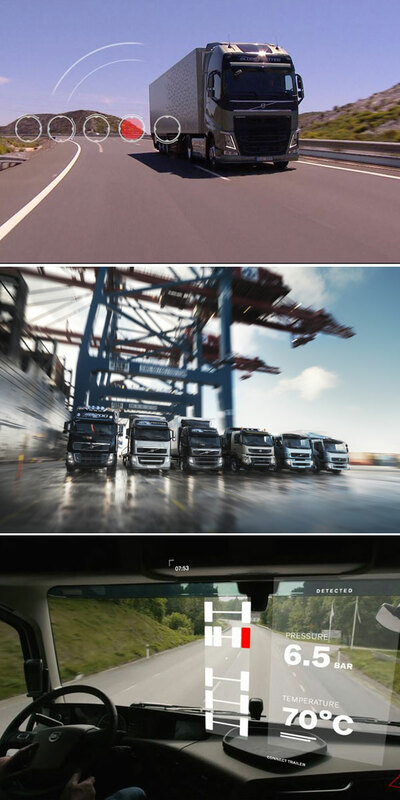 It allows Volvo Trucks to learn more and more about the health and performance of the truck, and hundreds of thousands of connected trucks, in everyday use.